J. Keith Fell Esq., of Garden City, joined the Little Flower Board in 2005. He is a Managing Director and heads the RaffCap Division of Tradeweb’s IDB Business Unit. 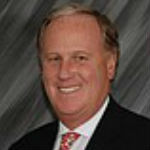 Prior to joining Tradeweb in November 2011, Fell was Chief Operating Officer at Rafferty Capital Markets, LLC. He also previously worked as Managing Director, Co-Head Capital Markets North America at Dresdner, Kleinwort, Wasserstein Securities, Inc.; as Managing Director, Global Debt Markets at Merrill Lynch & Co.; as Vice President, Fixed Income Division at PaineWebber Inc.; and as Vice President, Assistant General Counsel at Prudential Bache Securities. Fell holds a Juris Doctorate from New York Law School and a B.A. in Economics from Tufts University.